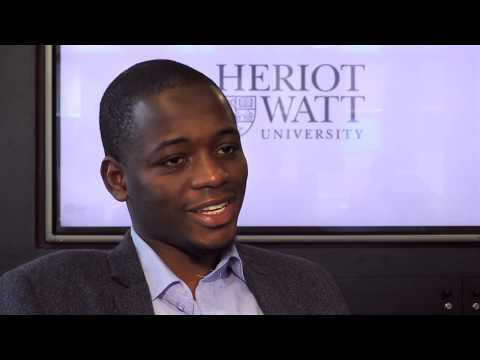 For more information about Computer Science (Games Programming) at Heriot-Watt University, please visit the webpage using the button above. Our BSc Computer Science degree focusses on constructing robust and useable systems. As well as looking at cutting edge tools and techniques, it's designed to help you build the next generation of software tools that other system constructors will use. The course aims to give a well integrated balance of theoretical underpinnings and practical experience, strongly informed by the research expertise of our academic staff. In the later years of the course, you'll also have the option to specialise - offering you the chance to graduate with a named degree in Games Programming (G440), Artificial Intelligence (G700) or Software Engineering (G600). 86% of our 2017 graduates reported in the National Student Survey that they were satisfied overall with their BSc Computer Science. It's also accredited by BCS, the Chartered Institute for IT on behalf of the Science Council for the academic requirement for registration as a Chartered Scientist. *Not studying mathematics or worried about meeting the mathematics requirement? Consider applying for BSc Computer Systems. In Year 1 of this degree it is possible to take an optional mathematics course. Then, subject to good performance, a programme transfer to BSc Computer Science for Year 2 onwards can be requested. Int. Baccalaureate 30 points with Mathematics and Computing at Higher Level 6.